Villa Eden is a luxurious, upscale Villa with a large pool and a private setting right at the edge of the ocean! A magnificent oceanfront villa in Cozumel. 'The best kept secret in Cozumel." 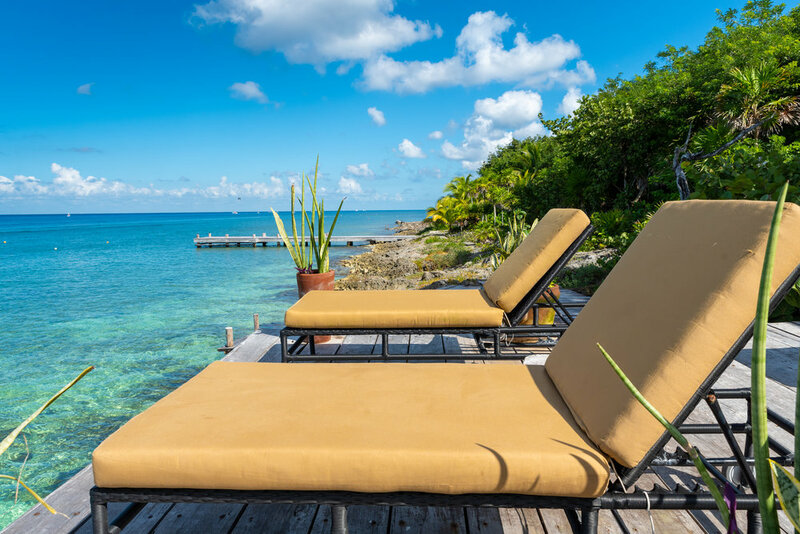 Villa Eden is one of the most luxurious, private oceanfront villas in Cozumel. A magnificent 5 bedroom home located right at the oceanfront, in a beautiful and very private setting surrounded by a lush garden with a 40-foot freshwater pool overlooking the Caribbean Sea. If you are looking for a private retreat to be with friends or family or a romantic getaway setting you will be delighted. It is one of the best values in the Riviera Maya. Two wooden decks for sunbathing, relaxing and for watching incredible sunsets are located ten steps from the pool at the edge of the water, with two short ladders to assist you to the crystal clear water in front of the villa, which upon entry is four feet deep with a sandy bottom. 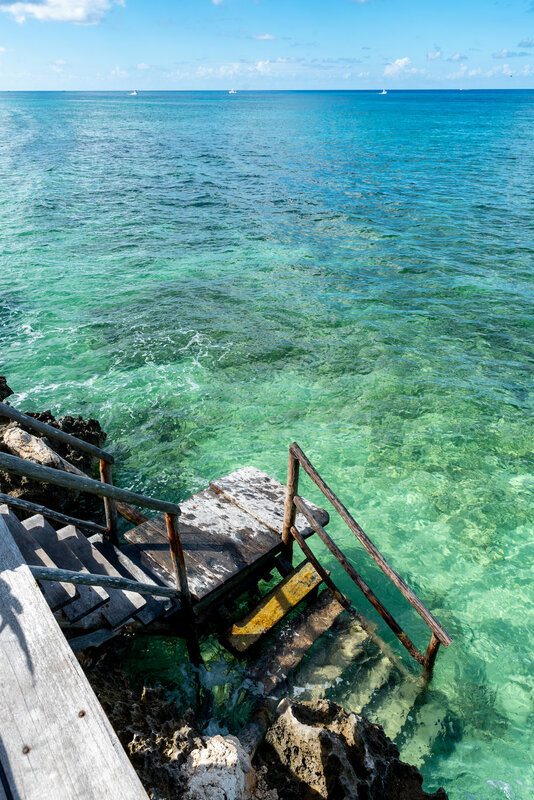 To swim or snorkel there is a treat reserved for the few. All 5 bedrooms are facing the Caribbean. All bedrooms have king beds. House keeper daily included. There is a bar and roof garden on the third floor. 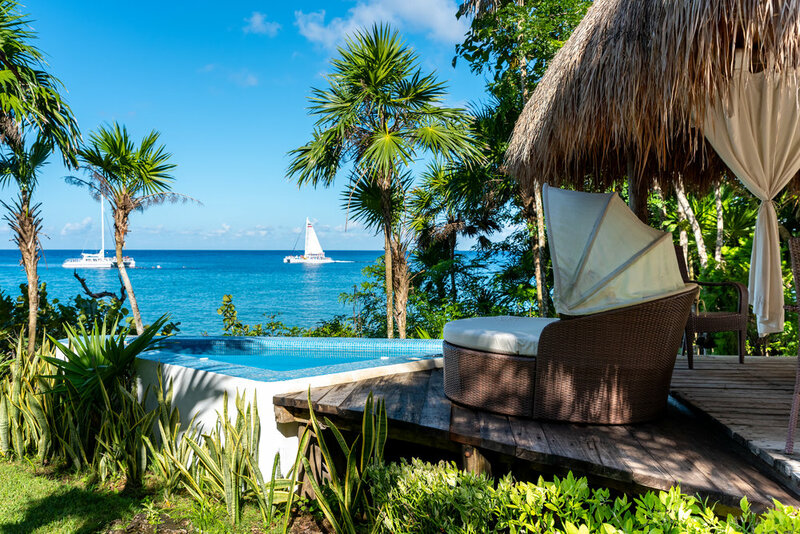 Villa Eden features a handmade hot tub by the ocean, to relax and watch the boats. A cook and a private boat tour and other services are available upon request. About the oceanfront: Some guests ask about a sandy beach before arriving. There are several within a minutes drive away from the villa, or a five minute walk. However, once our guests arrive at the villa, the lure of the beach is forgotten! The combination of the crystal clear water in front of the villa, the one of a kind location with privacy and serenity…they all say, why go anywhere else? 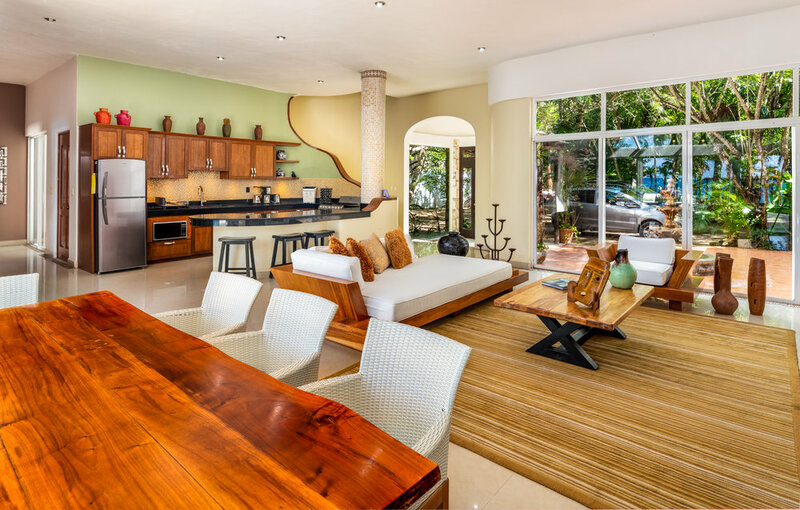 Truly, one of the best locations and villas in the Riviera Maya. A cook service is available and optional. Click *HERE* for details. Flat screens with cable TV. We provide and use only the finest amenities available to us. 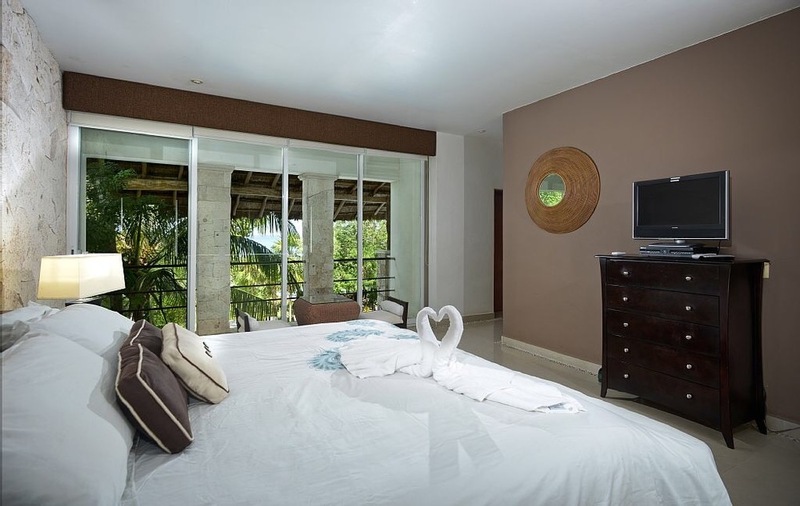 We want our villas to be a 'touch above' in Cozumel, and as luxurious as possible. We know what you, our guests, are looking for in a luxury vacation villa and we go out of our way to find it. Above all, thank you for considering us for your vacation. In return, will do our best to make it an unforgettable one!